Smartphones production and Technology itself is developing every second since the last decade and Nokia have been trying to give people what they want when it comes to Smartphones and have also touched the heart of many with their hot & trending Smartphones like The Nokia Lumia 920. Now, combining the best of solid smartphone experience and an unrivaled camera, Nokia has ended up designing a brilliant, intelligent, excellent and what else ? 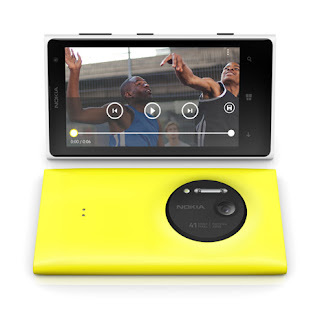 An amazing Smartphone named 'Nokia Lumia 1020'. 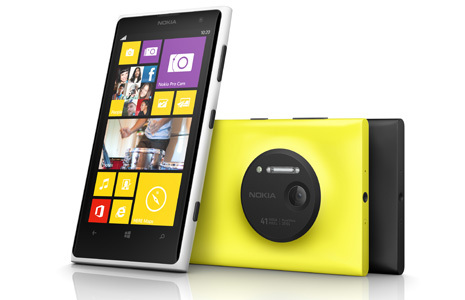 The Nokia Lumia 1020 promises to become the hero device that both Nokia and Microsoft desperately need at this moment. Anyway, all that aside - lets talk about The Lumia 1020, the Nokia Lumia 1020 is very close to the Lumia 925, It packs a 4.5" AMOLED screen of WXGA resolution (768 x 1280 pixels) with Super sensitive touch which means that you can use this phone even while wearing a glove. It's also protected by Gorilla Glass 3, which has a nice smooth curve along its side. There's a 3.5mm audio jack and the microSIM card tray on top and at the bottom is - the microUSB port and loudspeaker grill with two mics at each side. There's no microSD card slot, but the phone comes with 32GB of built-in memory but we are hoping to see newer versions with 64GB of memory very soon. Now with this brief description, let's take a look at the specification of this long-awaited Smartphone. Accessories: Snap-on camera grip with built-in 1,020mAh battery and tripod mount, Snap-on Qi wireless charging cover. Now, as Nokia announced that with Lumia Black update they will be adding RAW file format support for L1020, it will be a big step forward in the world of mobile photography. Its a perfect partner for on the go photographers, photojournalists. Apart from great camera, it features good hardware and gorgeous AMOLED screen. WindowsPhone 8 works like a charm with its hardware. And with 2GB of RAM you can be assured that it will get future updates. Nokia has put up their best in this phone, but limitations of WP8 make you think again and again before investing arnd half a lakh rupees!